Fellas, trust me when I say it’s the thought that counts. Your wife/girlfriend is going to be way happier if you put some thought into a gift, rather than shelling out the big bucks. If that’s not the case, you might wanna start panicking. This guy below went into creative overdrive. 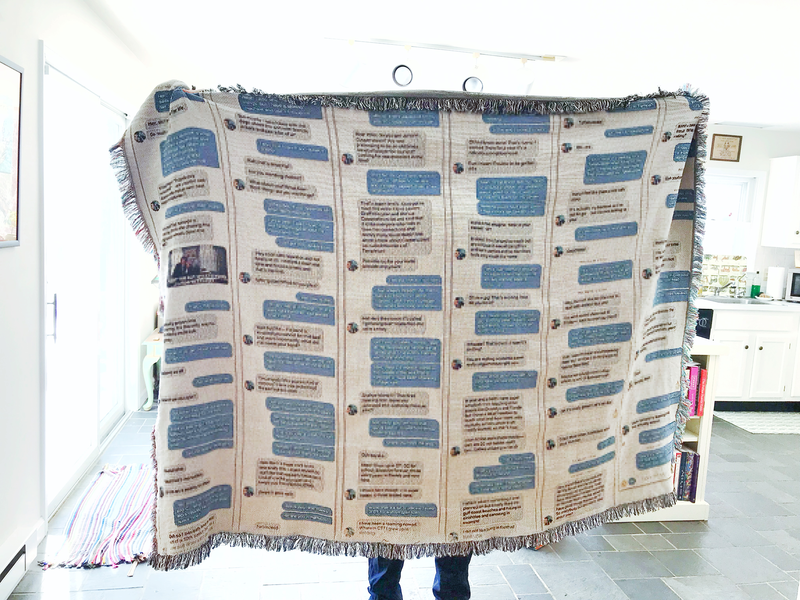 In a Reddit post, user TeenageTeenwolf shared a photo of a blanket he got made for his girlfriend. The gift to celebrate their one-year anniversary? A Tinder convo printed out on that blanket. That’s where the two met, and before you try to zoom in, he intentionally pixelated the photo so you couldn’t read what was said.